The New York Yankees announced prior to Saturday's game in Toronto that they have recalled outfielder Clint Frazier from Triple-A Scranton/Wilkes-Barre and designated RHP David Hale for assignment. 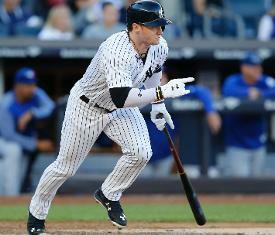 Frazier has had multiple stints with the Yankees this season, hitting .350 with one RBI in eight games. While with SWB, he has been one of the hotter hitters overall in the International League, slashing .312/.371/.577 with 10 home runs, 14 doubles, and 21 RBI in 47 games. Hale has also had multiple stints with the Yankees this season, and has pitched to a 2.53 ERA in 10 2/3 innings over three games in pinstripes. His most recent stint in the Majors began on July 1 and he made just one appearance, throwing 5 2/3 innings of one-run ball in Friday night's 6-2 loss to Toronto.